A super easy way to keep track of your comic collection and wish list. Catalog your comic book collection online. Automatic creator lists and cover art. Easily create your online comic inventory. Track the comics you own or watch. Share your comic list with friends. 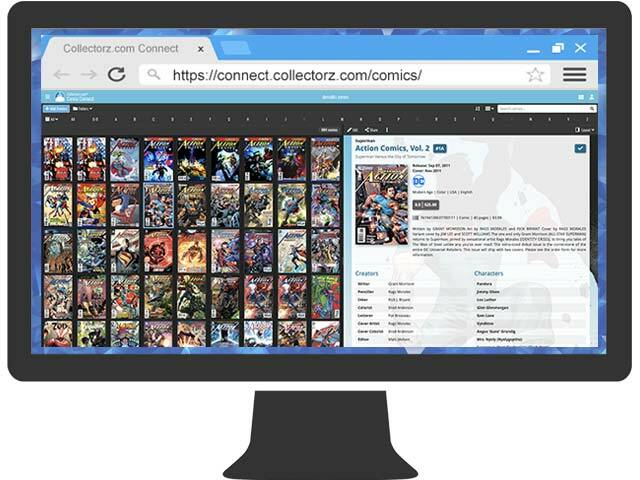 Comic Connect is subscription software, costing USD $29.95 per year. TIP: Visit our CLZ Shop for a bundle deal with the CLZ Comics mobile app.